​Minero VII x Tejano III, bred by Yegjada Maipe. I have had Whoop since he was 4. I bought him from Sporthorse Continental, straight off the boat from Holland. He has taken a long time to settle down to work but I love training him as he is so intelligent and energetic. Whoop is competing at British Dressage Medium and Advanced Medium level. 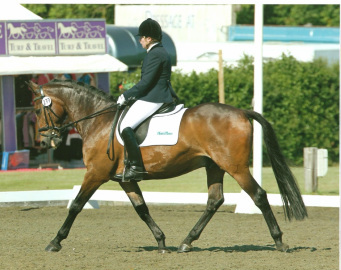 In 2011, he was BD Winter National Restricted grade 4 Champion. At the 2012 BD Winter Regional Championships at Medium we finished a very respectable 3rd. He finished 2nd at the KBIS BD National Champs (the most prestigious) that year. At Bishop Burton International CPEDI 2* 2012 he won 2 out of his 3 classes, including the Freestyle with 73.4%. Whoop and I have won every Para Grade 3 qualifier class we have entered. And Whoop has qualified for every British Para Championship he is eligible for 2011-13. Whoop has done us proud as a Para horse but we have given him a break from Para shows. He is now working PSG with Piaffe/ Passage. Eve very kindly gave me the ride on Dino from March to WEG 2014. 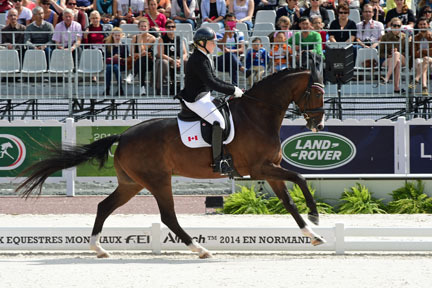 We had a very successful Canadian Team European Tour in the Spring and Dino met PEC selection criteria for WEG. We then had the hard decision as to which horse would be my mount for the Games - we decided to take Dino. He was a star at WEG, coming 8th in the Team test (in the pouring rain), 6th in the Individual Championship test and securing himself a place in the Freestyle finale where we danced to 4th in the WORLD! He grew in confidence through the whole experience. I bought Splodge when he was a newborn foal as he was just so gorgeous. Four years later, I took him with me when I went to work for Gareth Hughes. He qualified for the BD Regional Championships at Preliminary and Novice level as well as taking me to my first Para competitions. Unfortunately, he developed soundness problems so we retired him. Splodge lives happily out in the field with Mother's Welsh Cobs, looking after his band of girls. I borrowed Charlie from Lady De Ramsey, through the recomendation of Tiny Clapham, during the summer of 2010. Whoop had somehow managed to get bitten on a rather delicate part of his anatomy by an adder while playing in the field. Very quickly, we formed a partnership and qualified for the British Championships at Hickstead. 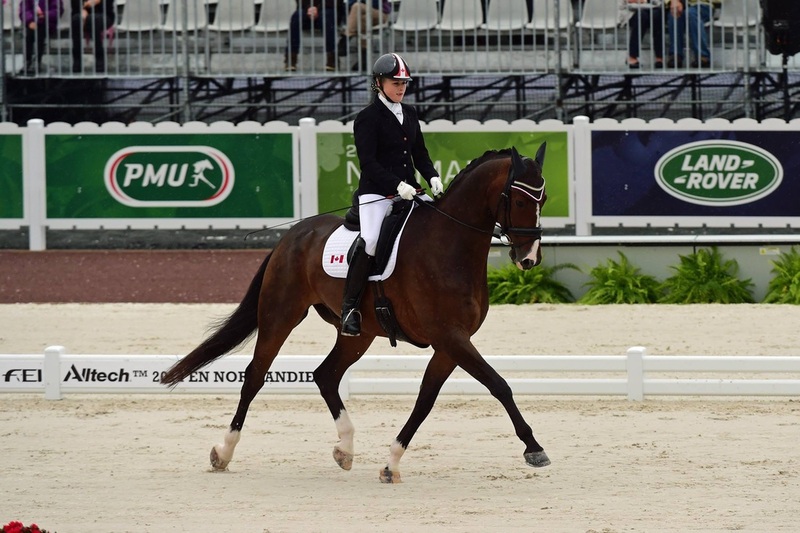 He gave me my first major championship experience as a Para rider.